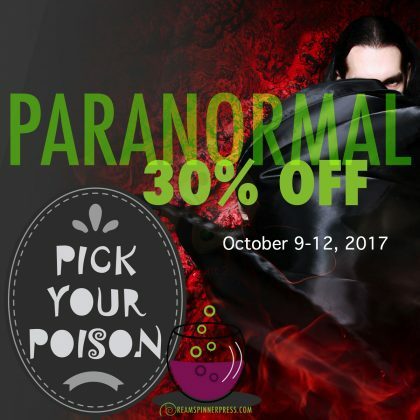 Paranormal titles are on sale at Dreamspinner until October 12, 2017! This is a great chance to pick up Forbes Mates, if you haven’t read or finished it. Don’t forget that book 4 in Forbes Mates, Forgiveness, is due out in Spring 2018!! And while you’re at it, why not check out some other excellent authors, like Shira Anthony, Charlie Cochet, Jamie Fessenden, Angel Martinez, Elizabeth Noble, and Tempe O’Riley!